Start calling this coming Tuesday, Sept. 6th. We should not put this off or be side tracked by the presidential election. 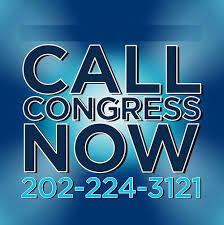 calling Congress every day until the Refugee program is defunded. program but it died in the Senate. no end in site. PREPARE FOR WAR !!! They do not want to assimilate. They are coming to conquer. very hard to get them out.” Quote by Sun Tzu. Islam in the West. We are only ten years behind Europe. Trump on Immigration: No Retreat! involvement in the Middle East. Nation Building or Islam Building. Islamic political violence into our countries. The first is a ban on Muslim immigration. The second is a ban on Muslim politics. some time to watch this and make sure you read the comments. Muslim Brothers in the White House! projections from Center for Immigration Studies’ Steve Camarota. second incident of its kind this year. 3 Comments on "UPA Report 9.4.16 Changing America by changing its people! The future of America is in our hands. A must see video by Ann Corcoran 4min 56 sec"
It’s wounrefdl to have you on our side, haha! I simply want to say I’m all new to blogging and honestly savored you’re blog. Probably Iâ€™m planning to bookmark your site . You certainly have awesome stories. Thank you for sharing your website. Witaj Marku,po naszym wczorajszym spotkaniu w Poznaniu przed OperÄ… z przyjemnoÅ›ciÄ… dodam swÃ³j komentarz. W peÅ‚ni siÄ™ z TobÄ… zgadzam co do szkodliwoÅ›ci zanieczyszczonego powietrza.MoÅ¼e w koÅ„cu wprowadzÄ… nowe ekologiczne napÄ™dy do samochodÃ³w np. wodÃ³r, baterie sÅ‚oneczne.Pozdrawiam.